This entry was posted on August 30, 2015 by oopsjohn. 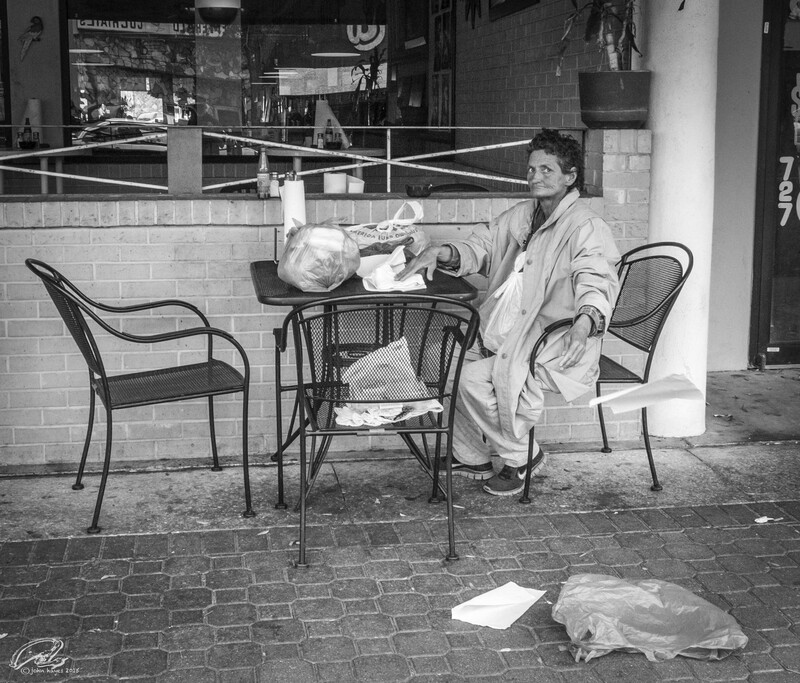 It was filed under back alley, black and white photography, homeless man, john hayes photography, outdoor cafe, pedestrians, photography, st. petersburg FL, street photography, urban snapshot . Great story and info in the PDF!